Call of Duty is quite popular, it turns out. It has over 40 million active players logging in every month. Added to that, over 10 million people registered with CoD Elite, the game’s premium service. A further 2 million of them are annual premium members, which I’m sure makes Bobby Kotick feel justified ordering those giant M&M machines for his office. The announcement was made on top of better-than-predicted revenue for Activision, which, while not as good as last year’s $1.45 billion, was still a respectable $1.17 billion. Once we get to that kind of number it almost seems a little small, to have that one sitting there at the front of a decimal point like a BILLION DOLLARS is no big thing, but I assure you it’s a veritable mound of money. You could probably make a fort out of it. 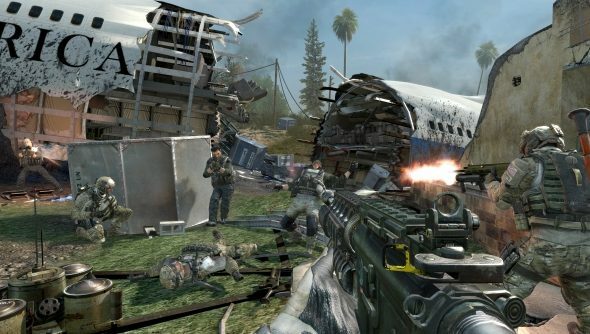 Bobby Kotick, Activisions CEO, also went on to say that ‘Players have logged more than 1.6 billion hours of online gameplay of Call of Duty: Modern Warfare 3.’, which, taking Activision’s earnings into consideration, means that players are getting more than an hour’s worth of entertainment per dollar. Probably far more than that, when you realise that that $1.2 billion takes into account all of Activisions sales, rather than just Modern Warfare 3. Which is about the point where my maths breaks down and I have a little cry in the corner while writing meaningless numbers on the wall. More specifically to CoD, this means that the Elite service is most likely here to stay. Now we just have to see what’s going to happen with CoD:BlOps 2, and whether that’s going to share the Elite service across both games, or have its own separate service. That’s when we really see whether this is player-driven or just with an eye on your juicy wallet.